Vom 01.03.2017 bis zum 02.03.2017 wurden 34 Knowledgebase Artikel veröffentlicht. This article provides steps to stop, start, or restart vCenter Server Appliance services. For troubleshooting and maintenance purposes, it may be necessary to change the status of vCenter Server Appliance services such as VMware VirtualCenter Server or VMware Infrastructure Web Access. For vSAN 6.2 and later, some of the trace-level logging created by vSAN can be forwarded to a syslog server. The total volume of traces is too great for syslog handling, but the urgent traces (provides details on most potentially-significant problems) can be forwarded to an external syslog collector. The use of syslog redirection for the urgent traces is a useful troubleshooting tool, as it can permit the evaluation of trace data even if the traces are lost. This article answers frequently asked questions on the availability of vShield Endpoint beyond the End of Availability (EOA) announcement of vCloud Networking and Security (vCNS) (standalone, September 2013, as part of vCloud Suite, March, 2015). It also provides information on the impact to vShield Endpoint customers when transitioning from vCloud Networking and Security to VMware NSX for vSphere. This article provides information for the vCloud Air Disaster Recovery service (version 1.0 available as of April 2014) customers and actions to be taken to avoid service interruption. It also provides a summary of the vCloud Air Disaster Recovery (version 2.5 available as of January 2015) and Dedicated Disaster Recovery (available as of February 2017) service offerings. After downloading the latest version of VMware Tools from the My VMware portal and replacing the VMware Tools images on the ESXi host, or placing it on a shared datastore, you experience these symptoms: The VMware Tools status on the User Interface (UI) continues to display as Current instead of Out of Date even though the VMware Tools images are replaced with a newer version. Upgrading VMware Tools fail. This article provides information about McAfee Network Security Platform software availability and support.Disclaimer: The partner product referenced in this article is a software module that is developed and supported by a partner. Use of this product is also governed by the end user license agreement of the partner. You must obtain from the partner the application, support, and licensing for using this product. For more information, see McAfee Service Portal. An LDAP group has been granted access to SDDC Manager. Members of the LDAP group can log in to SDDC Manager but may see a spinning circle in one or more areas of the UI.LDAP users granted access directly to SDDC Manager ( not through group membership) do not experience this issue.Local SDDC Manager users do not experience this issue. NSX controller stuck in „Waiting to join cluster“ and is in a disconnected state. Upgrading vCenter Server from version 6.0 fails with the error:Installation of component VCSServiceManager failed with error code ‚1603‘. Check the logs for more detailsNote: For additional symptom and log entries, see the Additional Information section. This article provides build numbers and versions of ESXi/ESX. This article provides information for: Customers with 200+ hosts and 2000+ virtual machines. 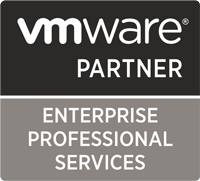 Customers that have upgraded from vCenter Server 2.5 or vCenter Server 4.0 and are now on vCenter Server 4.1 or above. This article describes the maximum limits while using vCloud Air’s multi-tenant Disaster Recovery service (version 2.5 available as of January 2015).